At first glance, the jump in sexual assault numbers looks startling. In 2011, colleges and universities across Texas reported 100 assaults on or near their campuses. By 2013, the last year for which data from the state's public and private schools is available, that number had nearly doubled to 198. But experts say they don’t think the amount of crime has actually risen. Increased awareness and better reporting are more likely reasons for the higher numbers, they say. Victims' advocates across the country have warned for years that campus sexual crimes often go unreported, and allegations that do arise are sometimes ignored or not taken seriously. But now a combination of publicity, heightened scrutiny and a new state law is leading colleges across the state to place more emphasis than ever on preventing and responding to sexual assault. 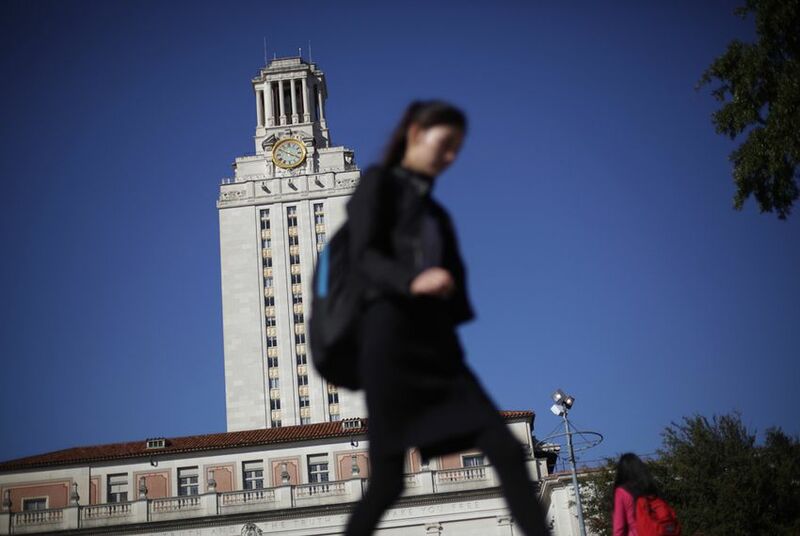 Starting this year, Texas colleges and universities will have to inform students of their sexual assault policies during freshman orientation, and review and update those policies every two years. And the University of Texas System is spending $1.7 million to conduct its biggest-ever review of sexual assault on its campuses. Multiple federal rules have governed schools in that regard for years. The Jeanne Clery Act of 1990 requires schools to disclose to students and the government when a violent crime occurs on or around campus. And federal authorities have interpreted Title IX of the Educational Amendments of 1972 to mean that colleges should protect their students from sexual assault. But in the past, police may have simply handled assaults without the school conducting its own investigation, said Chris Kaiser, staff attorney for the Texas Association Against Sexual Assault. And enforcement of the Clery Act was so lax that many schools didn’t comply, he said. “I was almost a running joke how noncompliant schools were in Clery reporting,” he said. But federal oversight and enforcement have stepped up in recent years — and schools have responded accordingly. Last year, the U.S. Department of Education released a list of schools at which it was conducting civil rights investigations into the handling of sexual violence. Two Texas universities were on that list of 55 – Southern Methodist University and the University of Texas-Pan American. House Bill 699, which was signed into law by Texas Gov. Greg Abbott on June 19, attempts to supplement those efforts. Schools are already required by federal law to have policies for sexual assault, but many of those policies are old and outdated, said state Rep. Poncho Nevárez, D-Eagle Pass. The guidelines are also often buried deep in student handbooks, which most students don’t read, he said. In addition to including information about the policies during orientation, the guidelines will also have to be posted on a standalone webpage. The goal, Nevárez said, is for students to actually see them – or at least be able to find them. Meanwhile, requiring a university review of the policies every two years makes sure that sexual assault remains on school leaders’ radars, he said. “It forces the administrators to deal with this issue every year,” Nevárez said. UT System administrators say their work has already begun. The system is spending $1.7 million to review its policies from a macro and micro perspective. This fall, students at all system campuses will take a sexual assault survey on the climate of their school. Beyond that, four schools — UT-Austin, UT-Arlington, the University of Texas at El Paso and the University of Texas Medical Branch at Galveston — will be the focus of a deeper two-year study, including interviews with police, staff members and students. And researchers will track a group of students throughout their entire four years to see how policies and response efforts affect their lives. “The idea is to get an understanding of their concerns, attitudes and the process in working with the both the accused and the victims,” said Wanda Mercer, associate vice chancellor of academic affairs. Mercer said the effort isn’t a direct response to any particular crime or problem on campus – and it was started before Nevárez’s bill passed. Chancellor William McRaven requested the review soon after he took over in January, Mercer said. “I don’t think anyone out there has done this comprehensive of a study – over four years and with these research methodologies,” Mercer said. That kind of diligence is what Nevárez was hoping for when he pushed his law. The extra attention may or may not prevent assaults, he said, but it will make a difference for victims. “It should allow young men and women to be able to take care of this if it happens – and not have any fear,” he said. Disclosure: The University of Texas at Austin, the University of Texas at Arlington, the University of Texas at El Paso and Southern Methodist University are corporate sponsors of The Texas Tribune. A complete list of Tribune donors and sponsors can be viewed here.